CJCA will be hosting the first KEIROKAI at the Nikkei Centre on Sunday, January 31, 2016 in place of their annual New Year’s Party for 2016. Keirokai or Keiro no Hi (better known in Japanese) is not exactly a holiday but is a national “Respect for the Aged Day” in Japan. Celebration activities take many forms across Japan and within our own Japanese Canadian communities across the country. This is a special day to honor our more seasoned members of the community and to show our appreciation for their contributions to our cultural heritage. If you have reached the age of 65 and are a member, in good standing, of the Calgary Japanese Community Association, we invite you to attend our Keirokai Celebration. Any members in good standing, as of December 1, 2015 who have reached the age of 80 years or older, are invited to attend this event as our special guests. Tickets are $20 each for anyone 65 to 79 years of age. Light lunch will be served accompanied by a short program of local cultural entertainment along with other surprises. Space is limited and there are only 100 tickets, so please call to reserve yours early. If you are interested in volunteering, please submit your contact information to the CJCA office. Visit our Special Performances page for more details. We are pleased to be joining forces once again with the Town of Cochrane for their "Light up Summer" event. It will begin on Saturday afternoon with music performances by Midnight Taiko Kai and local rock band Low Tide, along with activities, food and entertainment for kids and families. As the sun sets, a screening of Star Wars 7: The Force Awakens so bring your blanket and chairs and enjoy a summer night under the stars! 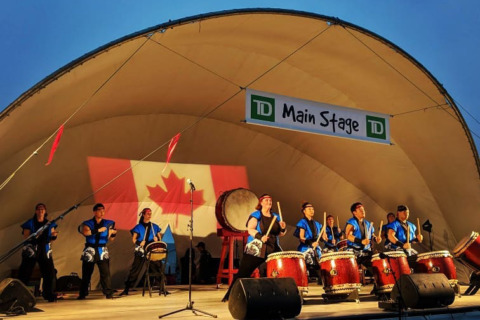 Midnight Taiko will be putting on 30-minute culture workshops showcasing Taiko drumming for Grades 1-6 students in Calgary as part of Alberta Culture Days at the Southern Alberta Jubilee Auditorium (SAJA). Midnight Taiko will once again be performing at Goro + Gun Japanese Restaurant for their Sapporo Beer event on the evening of October 19th. The event begins at 6:00pm and we will be performing a few pieces at 7:00pm and 8:00pm. 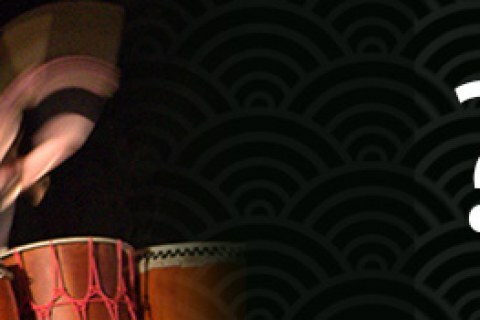 Midnight Taiko will be joining the Taiko class at the MRU for their year-end (bonenkai) recital. Come and see the new students perform their pieces, as well as some other songs by members of Midnight Taiko. Admission is free and the event is open to the public, so come and enjoy some Taiko drumming performances! Midnight Taiko will be performing on New Years in the Town of Banff! We'll be drumming in 2017 with a few outside performances along Banff Avenue, in front of the Mount Royal Hotel (map). There will be other Japanese cultural events happening such as calligraphy, soup tasting, and mochi pounding. We will be performing at 10:00pm, 11:00pm, and just after midnight. Come and join us!